This is the winner of a Prize. Restoration and conservation of unique and completely movable equipment of the baroque Castle Theatre. 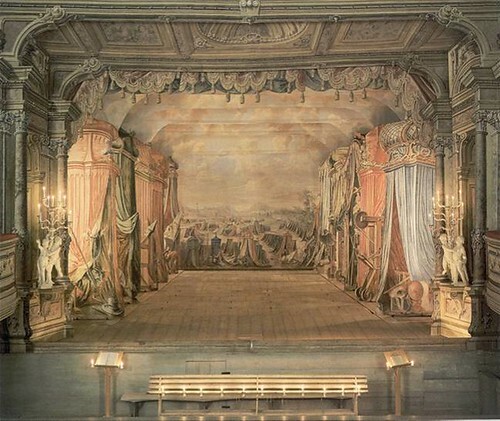 Built in 1766-67 it now represents one of only two theatres left in Europe which bear witness to the splendour and complexity of baroque theatrical culture. Though sporadic restoration projects began in the 1980s, it was only after the Velvet Revolution and the subsequent revival of crafts skills in the private sector that a new restoration and conservation plan was created. The main aim was to keep the theatre as a living, authentic entity. Props, lighting and costumes have been restored and placed in a new storage facility.